Establish benchmarks and track perception of your company and its products and services. 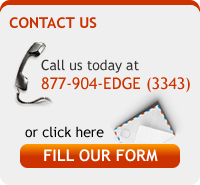 InnovativeEdge provides you the best Live Transfer Internet Generated Leads in a variety of options. An individual who having accumulated significant credit card debt is interested in the services of a debt settlement company to help negotiate with his/her creditor a reduced balance that will be regarded as payment in full. Refinance Lead: A consumer seeking to replace an existing debt obligation with a debt obligation bearing different terms. Home Equity Lead: A consumer seeking a cash loan based on equity in their home. New Home Purchase Lead: A consumer seeking a cash loan in order to purchase a new home. A student interested in earning a degree, a diploma, or training from an online or campus-based institution. 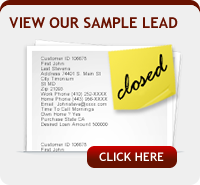 Providing insurance leads for sales driven insurance agents who want more than a sale, agents who want new clients. An individual strapped for cash seeking an advance on a future paycheck in order to pay immediate financial obligations. We know your time is valuable and limited. You have to make your time count as you commit to build your home-based business. We are very interested in your success. That is why we provide you the very best quality Biz Opp leads. An individual who owing more to the IRS (US Department of Treasury) than he/she can afford is interested in the services of a Tax Debt Relief agent who can defend them against the IRS claims and negotiate a reduced debt payment on their behalf. With recent changes in federal law regarding the student loan database and access to it, the student loan lead vertical may get very busy as lenders look for new ways to target students. The student loan consolidation form is fairly short and straight forward. 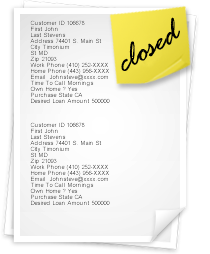 Filters are normally state, loan amount, and then optionally you could have filters for the qualifying questions.